The origins of lexicography began with dictionaries of difficult words in classical texts. Early Greek language grammarians like Zenodotus and Aristophanes of Byzantium compiled glossai ("glossaries") listing unusual Homeric words. Unfortunately, these ancient dictionaries no longer exist. Chinese dictionaries are the oldest extant lexicons. The anonymous (ca. 3rd century BCE) Erya arranged glosses from Chinese classic texts into 19 semantically arranged chapters. Yang Xiong's (1st century CE) Fangyan was the world's first dialect dictionary. Xu Shen's (121 CE) Shuowen Jiezi dictionary of Chinese characters was organized with an innovative system of 540 radicals (recurring graphic components). Roman lexicographers edited dictionaries for Classical Latin texts. Verrius Flaccus compiled the (ca. 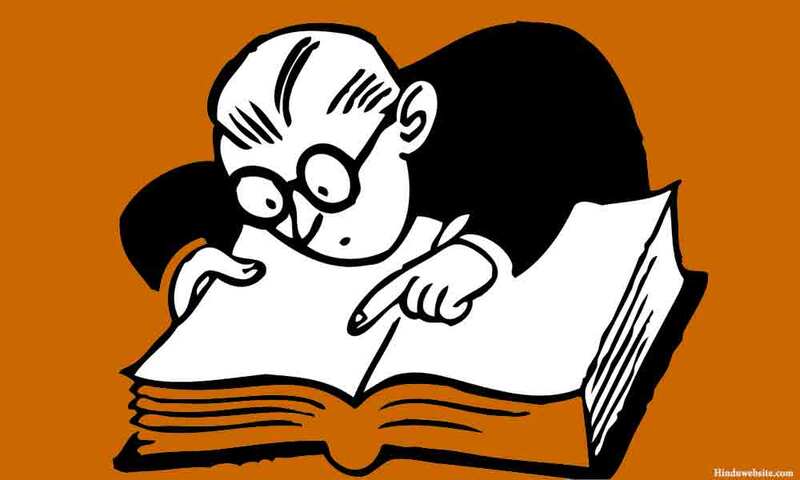 10 CE) De Verborum Significatu ("On the Meaning of Words"), which listed difficult terms and quoted usage examples. Although only fragments remain of Flaccus's original encyclopedic dictionary, De Verborum Significatu was abridged in the 2nd century by Sextus Pompeius Festus and in the 8th by Paul the Deacon. The first dictionary of the Arabic language was the (8th century) Kitab al-Ayn ("The Book of Sources") compiled by Khalil ibn Ahmad. The earliest English dictionaries were bilingual glossaries of Latin and French, for instance, Thomas Elyot's Latin Dictionary (1538). Lexicographer Sidney I. Landau describes the first monolingual English dictionaries. Although some believe Samuel Johnson's famous Dictionary of the English Language (1755) was the first true English dictionary, it was predated by Thomas Blount's Glossographia (1656), John Kersey's A New English Dictionary (1702), and Nathan Bailey's An Universal Etymological English Dictionary (1721). The lexicographer Noah Webster edited A Compendious Dictionary of the English Language (1806) and An American Dictionary of the English Language (1828), published by the G. & C. Merriam Company. Competing publishers put out other reference works entitled "Webster's Dictionary", and eventually the term became a genericized trademark for any English language dictionary. G. & C. Merriam reincorporated as Merriam-Webster, and continues to publish dictionaries. Their unabridged Webster's International Dictionary (2nd ed., 1934) claimed over 600,000 entries, but that inflated number was for word combinations not headwords; Webster's Third New International Dictionary, Unabridged (1961) contained over 450,000 head entries. Freely-accessible Multilingual Dictionary: This freely-accessible multilingual dictionary, compiled without any form of public contribution, is growing constantly because it's updated and corrected on line by our network of professional translators. The dictionary currently has 7.580.560 entries (total for all languages). The Longman Dictionary: of Contemporary English Online is an online version of the CD-ROM of the Longman Dictionary of Contemporary English, Updated Edition. The quickest and easiest way to look up any word while you are working on the web. One Look Dictionary: Find definitions and translations from multiple dictionaries. 19,500,236 words in 1062 dictionaries indexed. Macmillan Dictionary: Macmillan is an internationally recognised publisher of encyclopedias, dictionaries and reference works. Iit has as its source a corpus, a database containing millions of examples of English as used around the world. Extensive analysis of this corpus of real spoken and written text, using state-of-the-art software, has allowed the dictionary writers to reveal fresh information about how and when words are used. The dictionary has been regularly updated, and the latest edition, presented free online for the first time, includes a thesaurus, fully integrated into the entries. Collins Dictionary: The official online dictionary from Collins with over 1 million entries . Oxford English Dictionary - OED: Discover the story of English. More than 600,000 words, over a thousand years (Subscription required). 18 LANGUAGES MULTILINGUAL DICTIONARY -includes translation (Greek, English, French, Italian, Spanish, Portuguese, German, Dutch, Catalan, Russian, Serbian, Slovenian, Romanian, Slovak, Polish, miscellaneous). All About Homonyms -includes definition (English). AllWords.com - English with Multi-Lingual Search : English Dictionary - With Multi-Lingual Search. Includes translation (English, German, Dutch, French, Italian, Spanish), definition (English), sound pronunciation, synonym, example phrase. Behind the Name The history and etymology of about 9215 names, indexed and searchable. Carnegie Mellon University Pronouncing Dictionary is a machine-readable pronunciation dictionary for North American English that contains over 125,000 words and their transcriptions. This format is particularly useful for speech recognition and synthesis, as it has mappings from words to their pronunciations in the given phoneme set. You can download it from from SourceForge. Celtic Dictionary -includes definition (English), illustration. The Bibliomania reference section. Bibliomania has more than 2000 free texts, study guides, reference resources including dictionaries, books of quotations, synonyms, thesaurus, and literary sources. AlphaDictionary is a comprehensive index of on-line dictionaries for about 200 languages where you can search 1065 Online English Dictionaries at Once! ESL Idiom Page: Find a long list of English idioms arranged alphabetically. Etymologically Speaking: What follows is list of some curious word origins. Some of the words are English, but some are French and German words that got into English. German Spanish Dictionary: dictionary of American English and Spanish as spoken in Spain. You can either search for a term arranged alphabetically or download the whole dictionary (over 25,000 entries). Hobson Jobson Dictionary of Anglo-Indian terms: WORDS of Indian origin have been insinuating themselves into English ever since the end of the reign of Elizabeth and the beginning of that of King James. Know the Indian words that are into English. The Latin Word List: This has been copied from the University of Washington and formatted. A Latin-English/English-Latin Dictionary Client (Java): This Java applet was written by Djun M. Kim, of the University of British Columbia Mathematics Department, based on a Latin word list compiled by Lynn Nelson at the University of Kansas. Message Board: Join our Message Board Forums and share your knowledge with others. Joining is easy and your privacy is protected. yourDictionary.com : Access 1800 dictionaries in 230 languages. YourDictionary.com features Merriam-Webster's Collegiateï¿½ Dictionary and Thesaurus as its preferred English language resource. Merriam-Webster : Go to America's foremost publisher of language-related reference works. The company publishes a diverse array of print and electronic products, including Merriam-Webster's Collegiateï¿½ Dictionary, Tenth Edition — America's best-selling desk dictionary — and Webster's Third New International Dictionary, Unabridged. Punjabi Dictionary: An attempt to understand the Gurumukhi Alphabet. This site requires you to download the punjabi font. Rogets Thesaurus -includes definition (English), synonym, antonym. Browse by headword, by category and software downloads. SAYINGS & EVERYDAY EXPRESSIONS -Find meanings by searching for any word in the expression or view by page A - Z. The wording of the expression you have in mind may vary from the one found on this site. Grandiloquent Dictionary: This is the result of an ongoing project to collect and distribute the most obscure and rare words in the English language. It also contains a few words which do not have equivalent words in English. At present, the dictionary contains approximately 1900 words, though it is constantly growing. SYMBOLS.com : contains more than 2,500 Western signs, arranged into 54 groups according to their graphic characteristics. In 1,600 articles their histories, uses, and meanings are thoroughly discussed. The signs range from ideograms carved in mammoth teeth by Cro-Magnon men, to hobo signs and subway graffiti. The UBIS Dictionary of Change: Notes and thoughts on various words. The Foolish Dictionary: An exhausting work of reference to un-certain English words, their origin, meaning, legitimate and illegitimate use, confused by A F E W P I C T U R E S By WALLACE GOLDSMITH. The American Heritageï¿½ Dictionary of the English Language Bartleby.com provides the most up-to-date editions of the Columbia Encyclopedia and American Heritage Dictionary; the best contemporary and classic thesauri and usage guides. World Wide Words: is Michael Quinion's renowned site that explores the international English language from a British viewpoint. There are more than 800 pages available, with more added each week. He discusses new terms, displays weird words, gets behind expressions in the news, helps you with tricky points, and answers questions. Worthless Word For The Day : Herein is a complete list of worthless words compiled from 1987 to present. Medicine Plus Dictionary MedlinePlus brings together authoritative information from NLM, the National Institutes of Health (NIH), and other government agencies and health-related organizations. AskOxford.com Searchable online version of the Compact Oxford English Dictionary, as well as thesauri, quotations, foreign language dictionaries, a word of the day, and games.